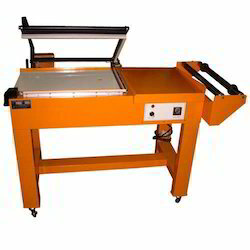 Pioneers in the industry, we offer semi-automatic l-sealer, manual l-sealer 1520, l sealer and l-sealer tls from India. 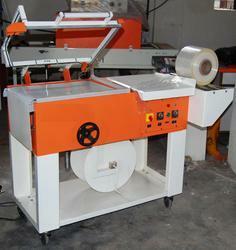 We introduce ourselves as an eminent manufacturer and supplier of Semi-Automatic L-Sealer. These are suitable for packing boxes, toys, electronic bricks and so on. The two machines can pack the products with a layer of plastic film, which makes the packaging more beautiful and firm. 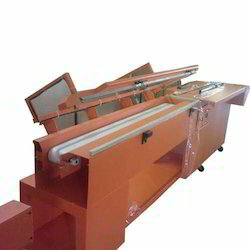 The machine adopts heating and stickiness free seal knife, which ensures the machine running well and without smoke. The time, transferring the products to the tunnel after sealing and cutting, is adjustable. Our valuable customers can avail this product from us at the nominal price in a given time frame. Our enterprise is a prominent manufacturer and supplier of premium quality Manual L-Sealer 1520. The front feed in systems speed is adjustable, combines a worktable at the end of the tunnel, makes whole machine highly automatic. BM-500L Hi-speed hot air circulating shrink tunnel adopts roller type conveyor, the rollers are covered by silicone gel.The conveyor can use Teflon mesh belt or S.S. mesh belt instead of rollers. The temperature inside the tunnel is even, suitable for shrink PE.PVC.POF films. Brass parts for blade holding assemblies & corner block: anti-corrosive, long life and less maintenance. With our rich experience in this domain, we are engaged in offering our clients a wide range of L Sealer. 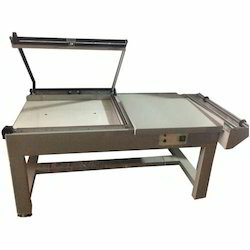 Fully adjustable multiple macros perforate offer minimal installation and start-up times. Straightforward control of all functions provides an operator with simple control of machine all operations. Precise control system ensures accurate sealing time and temperature. Visually observable see-through safety cover to obtain the optimal result and allow immediate quality control and integrated overheat protection device on sealing blade to offer a smooth sealing edge. Teflon coated sealing blade and continuously cooled for maximum duty cycle and quality trim seals. Backed by a team of skilled professionals, we are providing our clients a vast assortment of L-Sealer TLS. After sealing action, packing product go in the shrink tunnel automatically by the conveyor belt. Conveyor belt is adjustable on the high by a hand wheel. When choose auto function, whole sealing action controlled by cylinder works with fast packing speed. In addition to this, our offered product is provided on numerous specifications at industry leading price within a confined time. Looking for L Sealer ?